Place the chopped tomatoes into a bowl and sprinkle with salt and add the olive oil. Mix and then set aside and let stand for 10 to 15 minutes. Add the garlic and the onion and mix. In the palm of your hand lightly squeeze the basil leaves several at a time to release the fragrance and flavor. The leaves will start to turn a deeper green which is what you want. It will only take a few seconds or so – then chop the leaves and mix in with the tomatoes. Let sit all together for about another 5 to 10 minutes and then heat a sauce pan and pour all of the ingredients into the pan – adding the three peppers to taste. Cook for 15 minutes to a half hour and then let cool slightly and ladle the ingredients into a blender or food processor to blend all of the ingredients together. You can then warm the sauce up for use as a pasta sauce, use at the current temperature for a pizza sauce or freeze the sauce for future use. 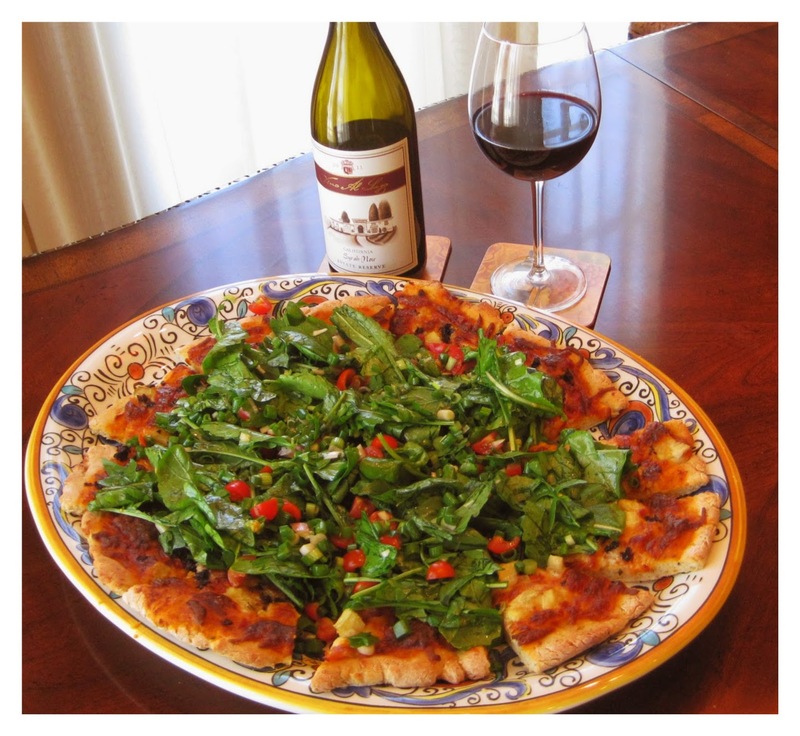 This is a great tomato sauce for the Pizza with Arugula Topping recipe.